Furianne: Fall Fun Series: An Introduction and Fall Tag! To kick off the first post we will do a Fall Tag! The decorations. Throughout the season, the colors and decor that can be found throughout buildings, stores, and houses makes something in my core extremely happy. 2. Do you get fall colors where you live? You know, I don't know. We landed in Korea during winter, so it's hard to say whether there is a 'fall' phase. I assume so, as all of the other colors and seasons make themselves known. 3. Favorite fall scent (wax, or anything)? There is a cinnamon and pumpkin potpourri that my mom would always bring out as the weather cooled down. She no longer has that potpourri, and vendor interpretations of the mix fall short, but it continues to remain my favorite scent. 4. Favorite fall food or drink? Pumpkin pie. It's the only pie I'll eat, and it happens to be around consistently in the fall season! Yay and nay? My parents are both big football fans, so the sounds of NFL happenings on the TV is synonymous with fall to me. I don't particularly search it out to watch on my own, though. 6. Do you rake, jump in, or burn piles of leaves? I used to, when I lived in areas that had deciduous trees. When we moved to Texas that stopped being a thing, and I've kind of grown out of it. 7. Haunted house or corn maze? Corn maze. I'm never phased by haunted houses. 8. Have you ever gone on a hayride? 9. Cider or hot chocolate? 10. Carve a pumpkin or eat pumpkin pie? Pumpkin pie. I'm a clumsy person, and I feel like carving a pumpkin would not end well for me. 11. Do you dress up for Halloween? I used to. Even when I didn't go trick or treating I would dress up as a witch and hand out candy on the front porch. If we ever move to an area that has active trick or treaters I'll start dressing up again. 12. Candy corn.....yay or nay? Yes! I absolutely love candy corn. Hard to choose, as I'm a bit of a scary movie buff. The first time I watched Alien sticks out in my mind, so I'll go with Alien. 16. Do you watch the Macy's parade? Nope. I forget it's a thing until it's mentioned by x or y news outlet/Facebook. 17. Apple pie or pumpkin pie? 18. White or dark meat? 19. Jellied or real cranberry sauce? None of the above. I don't care for it all that much. 20. Will you host or travel for Thanksgiving this year? Host... sorta? We don't expect company all the way in South Korea, so it'll just be Michael and I this year. How about you? Join us by giving some of your fall tag answers! Next post we will feature our fall melting stash. Hi Liz! Glad you are participating and I enjoyed your post! How are you liking Korea so far? That must be an interesting new experience. Hi Amanda! I enjoyed your post as well! 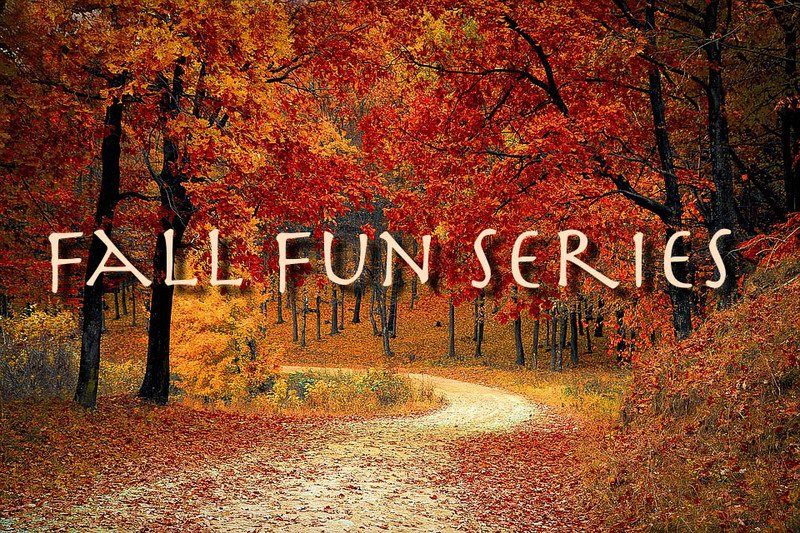 I'm excited to see what you have in store for this fun series! I'm loving it in Korea! Besides the language barrier, there is so much culture and people are so friendly and willing to help. It's very different from anything I grew up with back in the States! Yay! Another candy corn lover!!! Ok. So I totally should have read this before I packed up your box to send off or I would have squeezed a bag of candy corn in there. But you will be stocked up on candy. I look forward to your fall in Korea photos. Especially by the cemetery. Spooky! It seems like you've been in Korea forever but it hasn't even been a full year yet..crazy! Your answer to carving a pumpkin had me in stitches. I know! I can't believe it's only been 8 months! Time is flying by too fast! Here's hoping Halloween is at least something here in Korea. From what I've seen, they don't really celebrate the same holidays (would Halloween be a holiday?) as us.